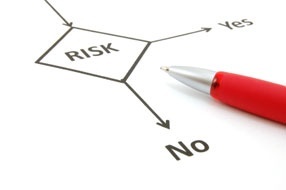 What Exactly Is a Risk Decision? In this note, I’ll dissect and expose exactly is meant by making a decision among risky alternatives, and what we should expect the management of an organization to be able to do in making these decisions. Risk Decision. A decision by the leadership of an organization to accept an option having a given risk function in preference to another, or in preference to taking no action. I assume that competent leadership of any organization worth its pay can make such a decision, at the appropriate level of seniority. The probability distribution of loss magnitudes for some stated period of time, such as one year. This is what I think most people really mean when they speak of the “risk” of something. The risk function is exactly the result of a FAIR analysis of a scenario. I like to think of the risk function in terms of its loss exceedance curve, the probability distribution that a particular loss magnitude will be exceeded, for the given time frame, as a function of the loss magnitude. 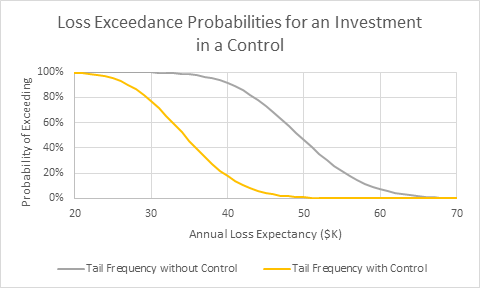 The nearby graphic illustrates two possible loss exceedance curves for a “before” and “after” assessment of an investment which is supposed to reduce risk. These curves are the final quantitative result of a risk analysis of a particular scenario. The decision problem is whether to invest in the control or not. (It may be a web application firewall, for instance.) The analysis says, for instance, that investing in the control will reduce the chance of annual loss greater than $40K from 95% to 20%. Sounds pretty good! Of course there is more to it. Management needs to know how much the control will cost. Costing out a control, including recurring and non-recurring costs, cost of capital, staff support, all in, is a well-established discipline compared to risk analysis, so let’s assume it has been done. Suppose the price tag is $20K. 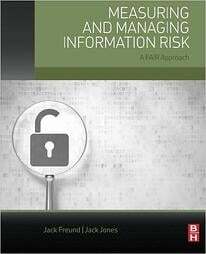 Management has to decide if the reduction in risk is worth the cost. There has been much agonizing in the literature about how a rational actor can consistently choose among risk functions. The most prominent approach is Von-Neumann-Morgenstern utility. Its main result is that, given any risk function, a rational actor can assign a number with his personal utility function such that more-preferred risk functions always have higher numbers than less-preferred ones. It’s a nifty idea but an impractical result for several reasons. For one thing, it turns out to be hard to estimate a person’s utility function. And if it’s hard for the average person, you will not get many a CEO to sit still for the exercise. For another, risk decisions, especially big ones, are often made jointly by multiple stakeholders, like the CIO, CFO and CEO, for good reasons. Getting a utility function for a committee is even harder. Finally, senior managers have an understandable need to “do a gut check” and personally engage with big decisions. They are not going to delegate the decision to a formula, nor should they. Risk Appetite. The worst (least-preferred) set of probability distributions of loss magnitudes that the management of an organization is willing to voluntarily accept in the pursuit of its objectives. In other words, in our ranking scheme, these are the ones just a little better than unacceptable, if we have a choice. Risk Tolerance. The set of least-preferred probability distributions of loss magnitudes that the management of an organization is willing to accept when presented with them involuntarily. So we have three sets of risk functions: those we are willing to choose in pursuing our objectives, those we are willing to accept but not opt for, and those we cannot abide. And within those sets there may well be ones that we have about the same preferences for even if their risk functions differ. What if a loss exposure (aka risk function for a scenario) is discovered that is worse than our risk tolerance? Well then it is by definition intolerable and we have to do something to mitigate or avoid it. A threat of this nature is almost by definition an existential threat to the organization – it threatens the ability of the organization to achieve its goals or perhaps even survive. But that’s another topic: business continuity planning.